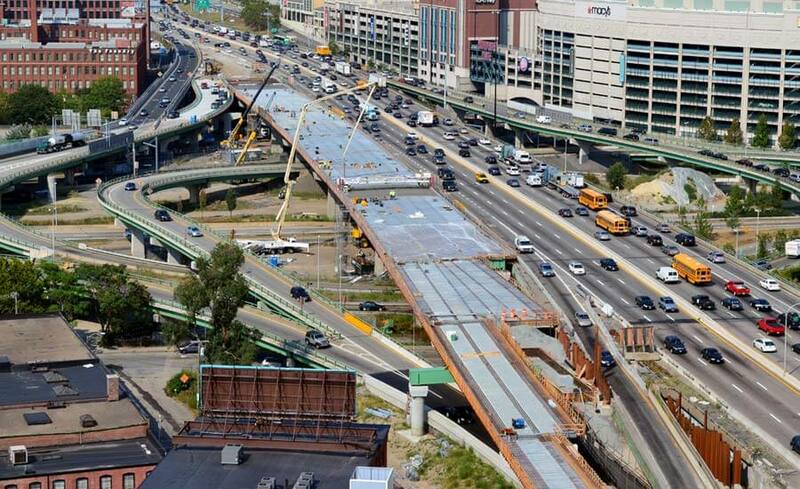 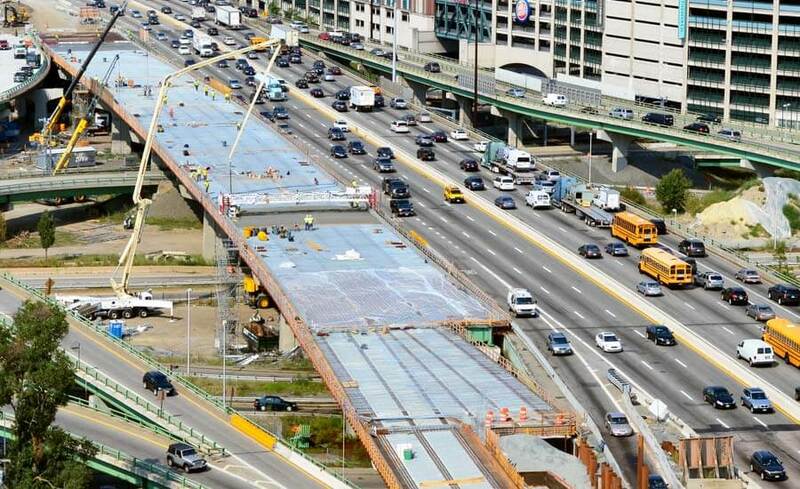 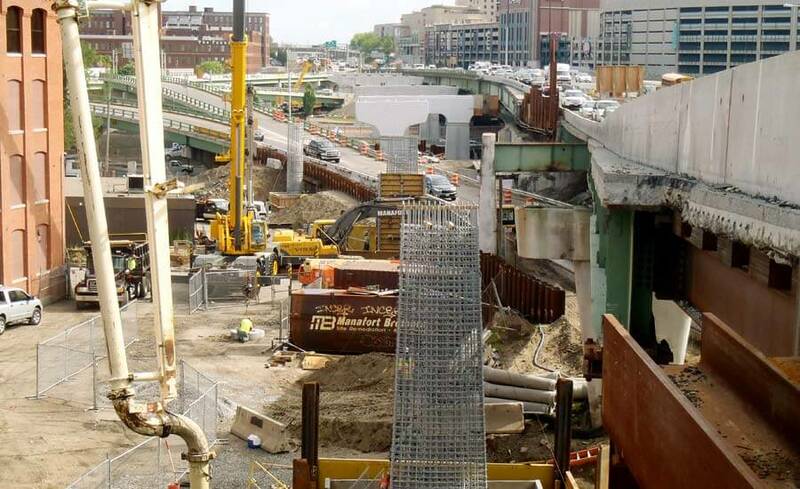 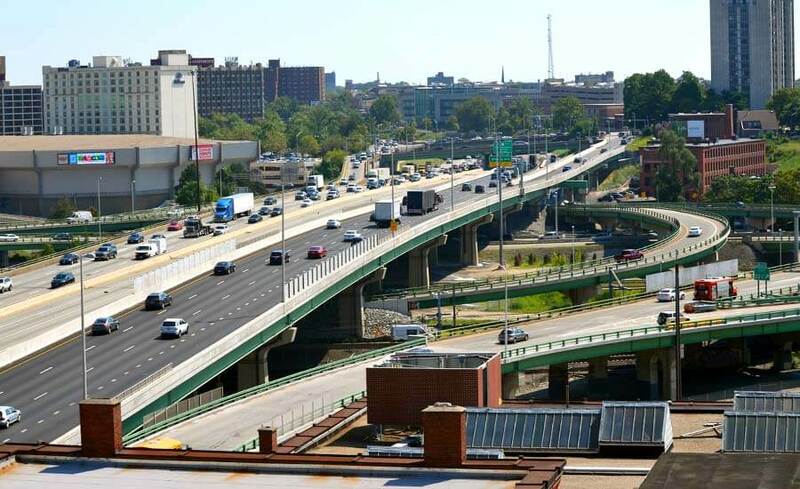 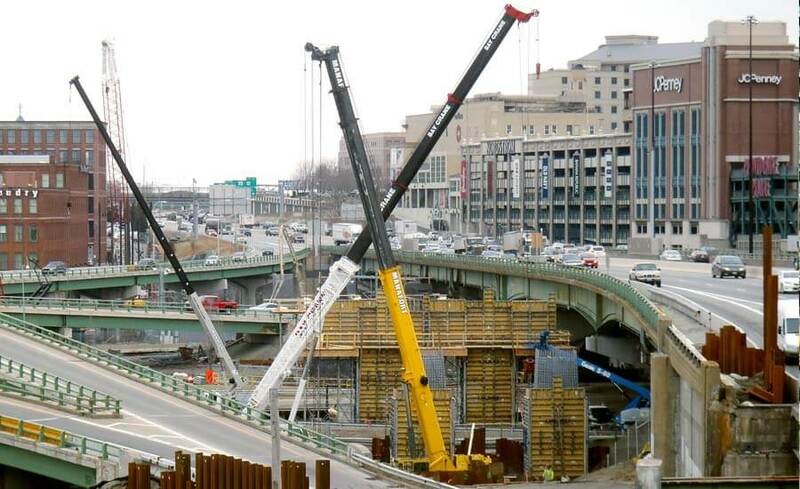 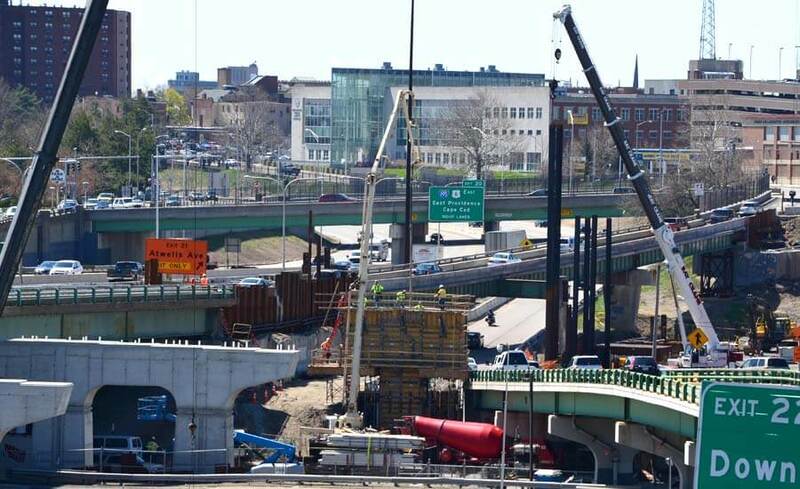 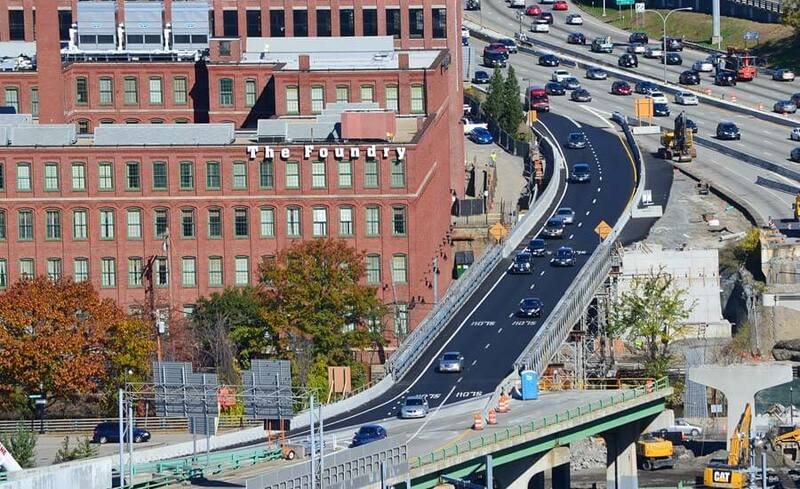 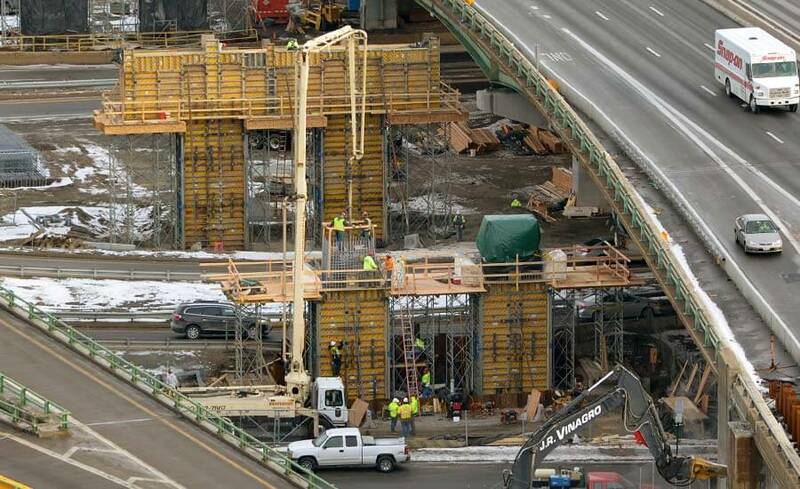 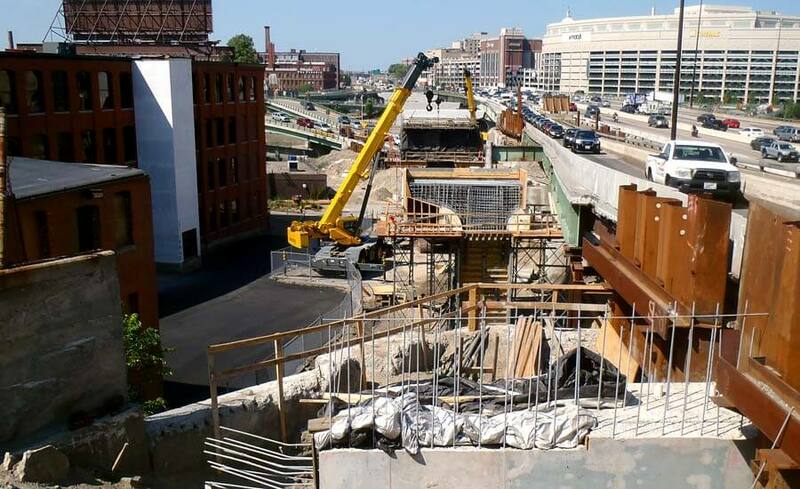 Providence Viaduct I-95 Southbound Bridge 578 Replacement - Manafort Brothers Inc. 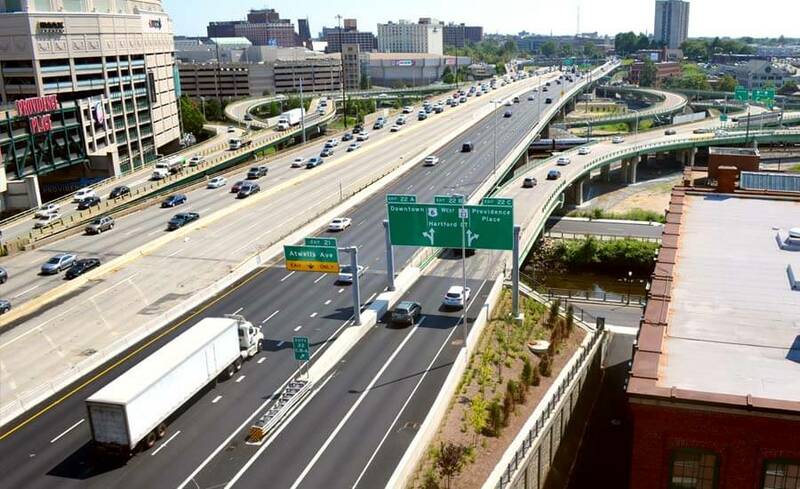 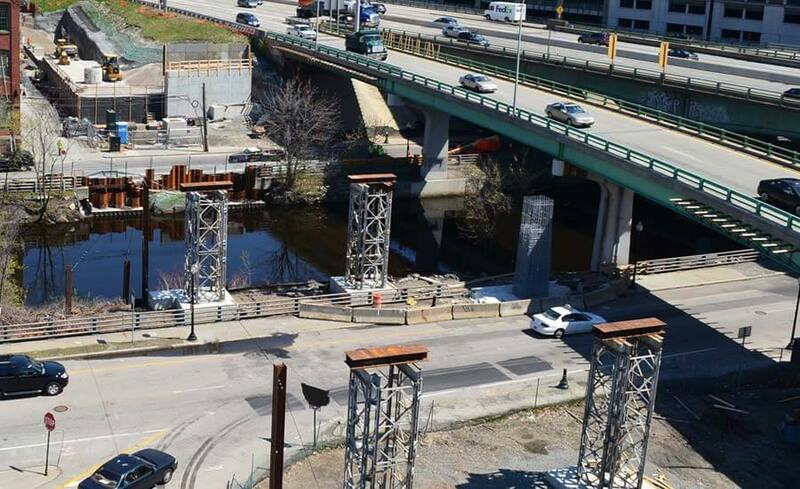 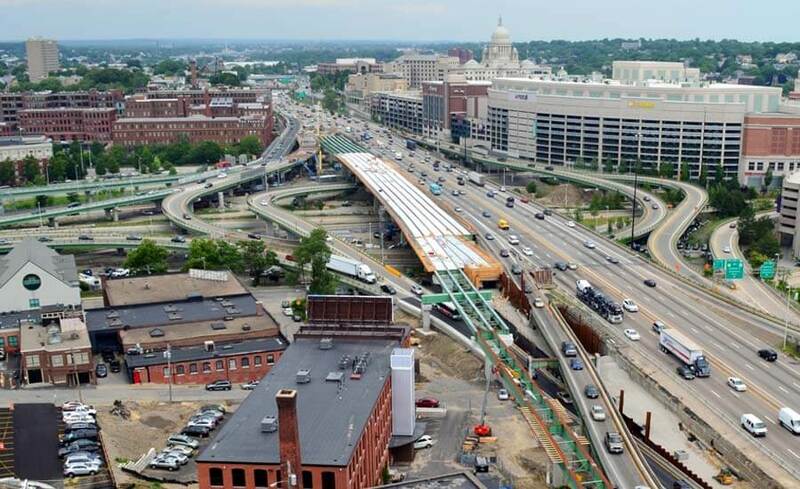 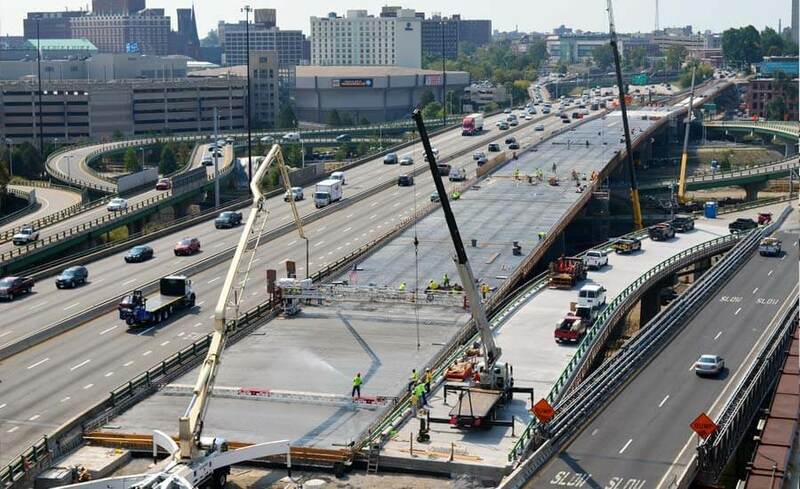 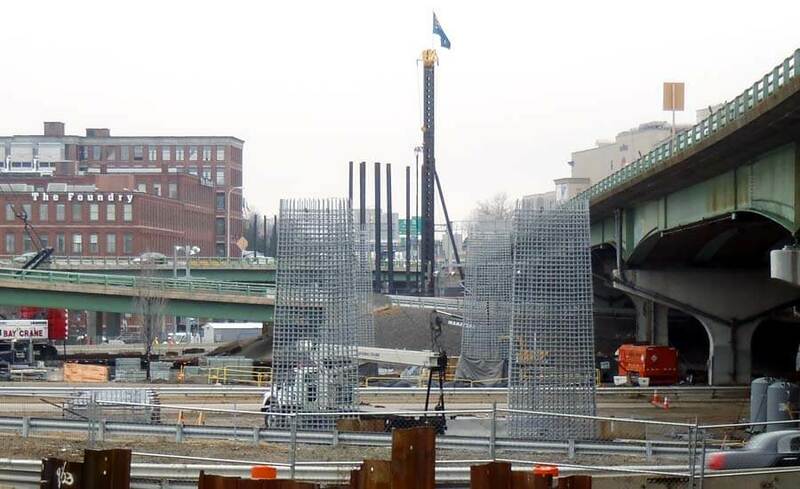 The Rhode Island Department of Transportation Providence Viaduct Southbound Bridge 578 Replacement Project involved the construction of a new 1,290 foot four lane bridge to carry RT 95 Southbound through downtown Providence, RI. 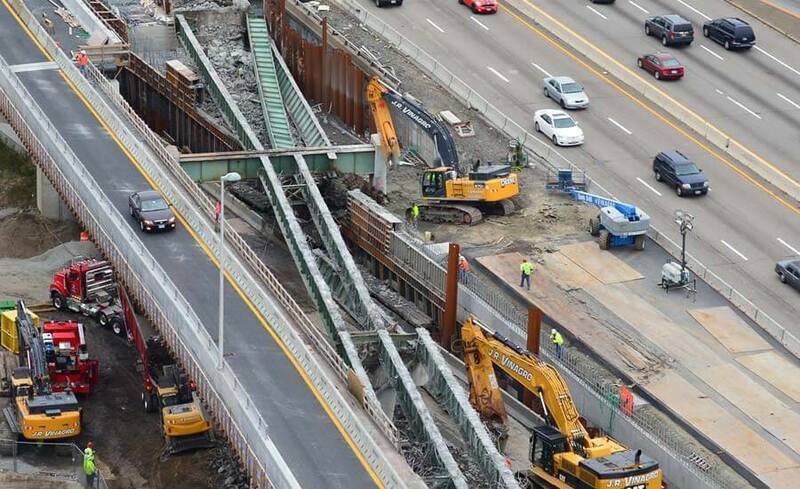 The Project also required removal and replacement of adjacent Bridge Ramp Structures 577 and 579 as well as widening sections of Bridge 578 and 579. 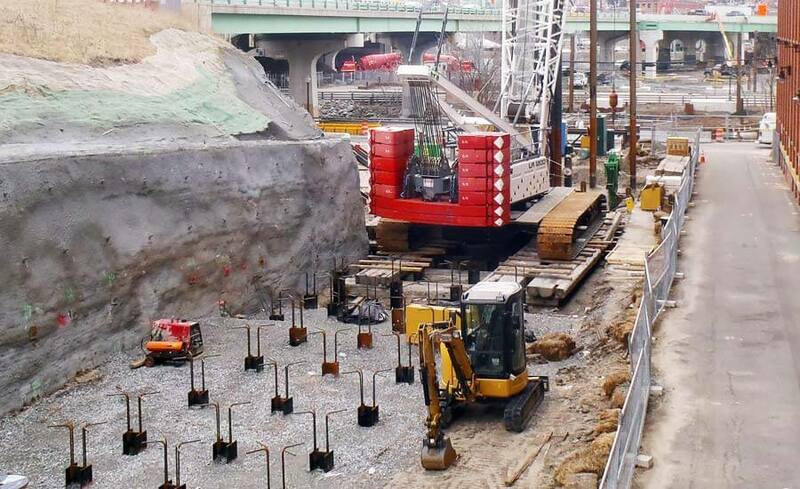 Due to very tight logistical constraints, the project required seven separate phases of traffic control and all work was required to be planned and scheduled in a very coordinated and detailed manner. 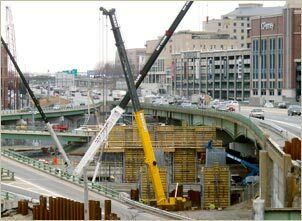 The work included extensive earth excavation and temporary support of excavation, pile driving, concrete substructure, bridge superstructure, temporary bridge, bridge demolition, cast in place concrete retaining walls, precast concrete retaining walls, storm drainage, roadway reconstruction, highway approach, highway signage, and highway lighting work. 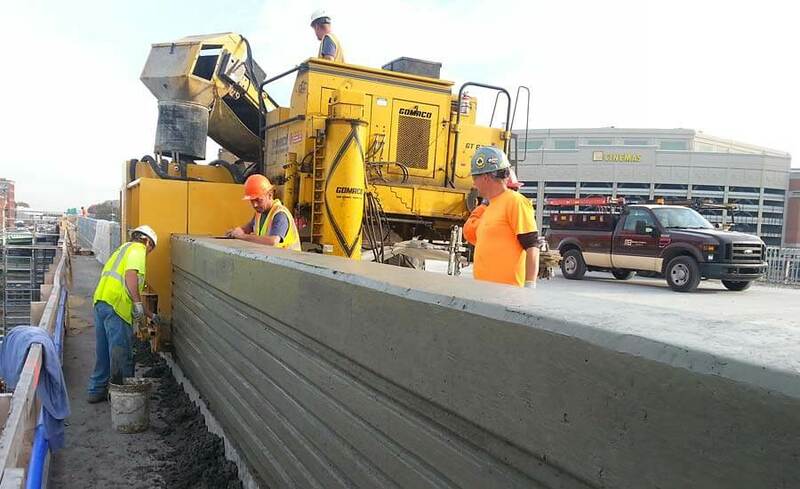 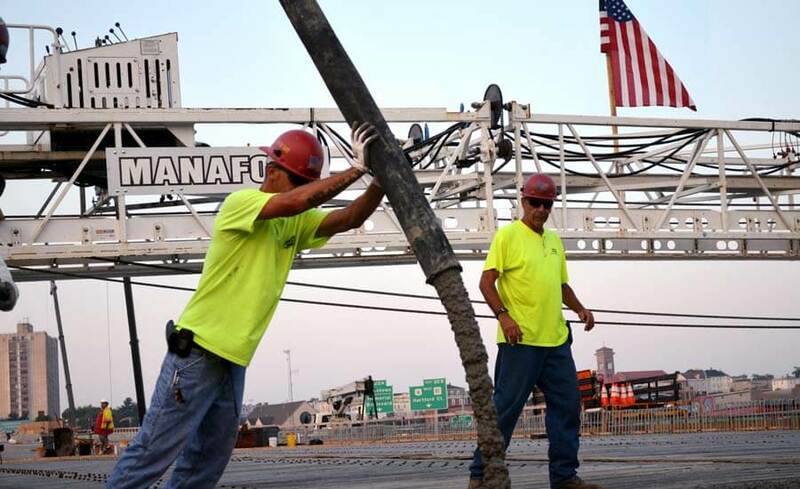 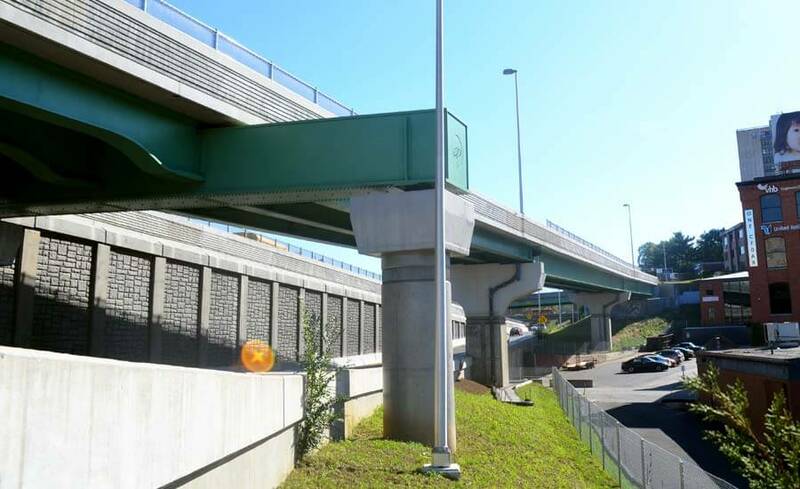 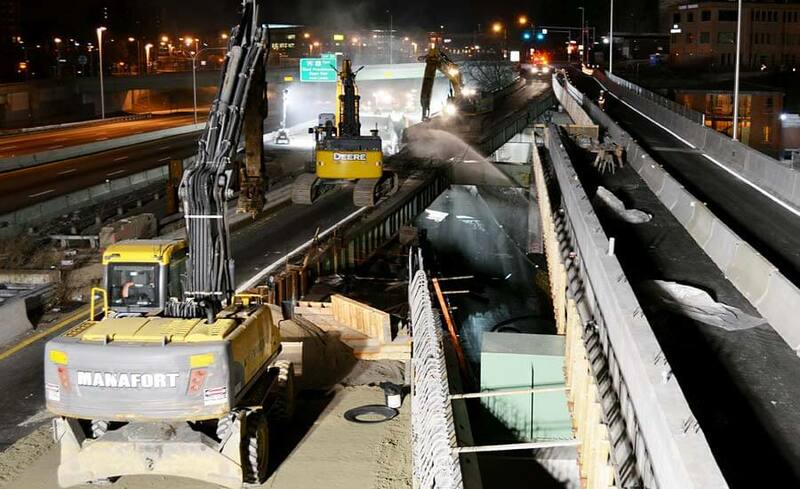 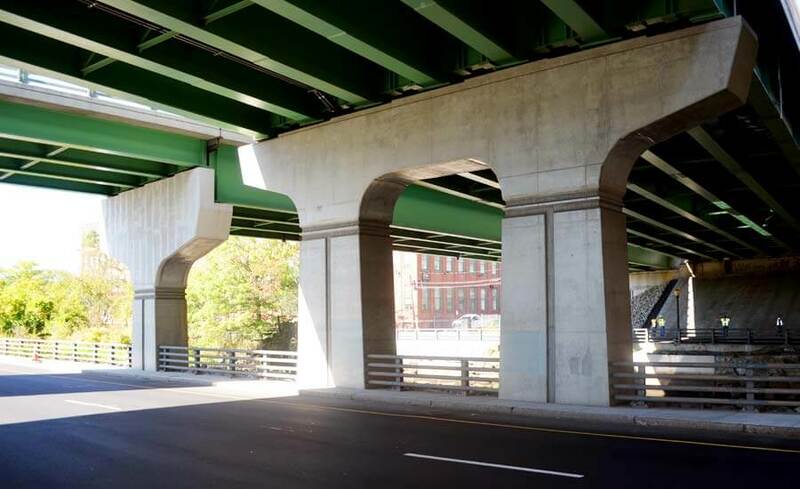 Manafort developed and executed a number of value engineering approaches to complete the project including concrete slip forming of bridge parapets, the first ever application on a Rhode Island Department of Transportation Project. 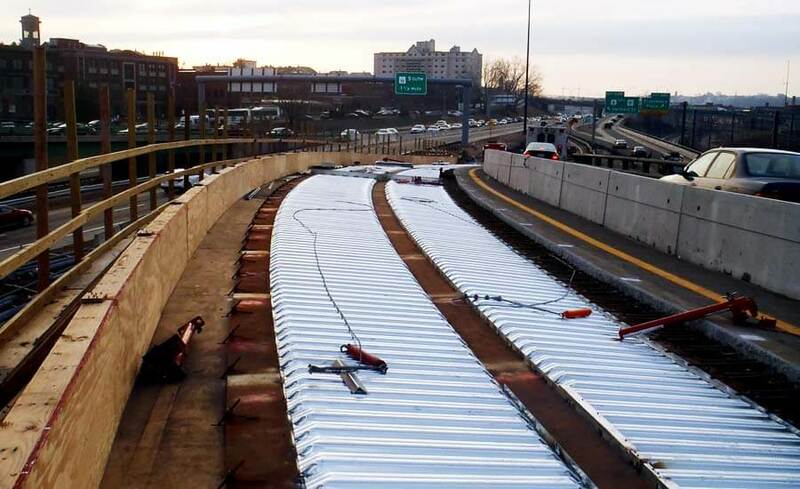 Accelerated Construction Methods were also employed to complete construction of an interim highway ramp, to minimize traffic impacts on the general public, in 7 days, three days ahead of the 10 days required by contract. 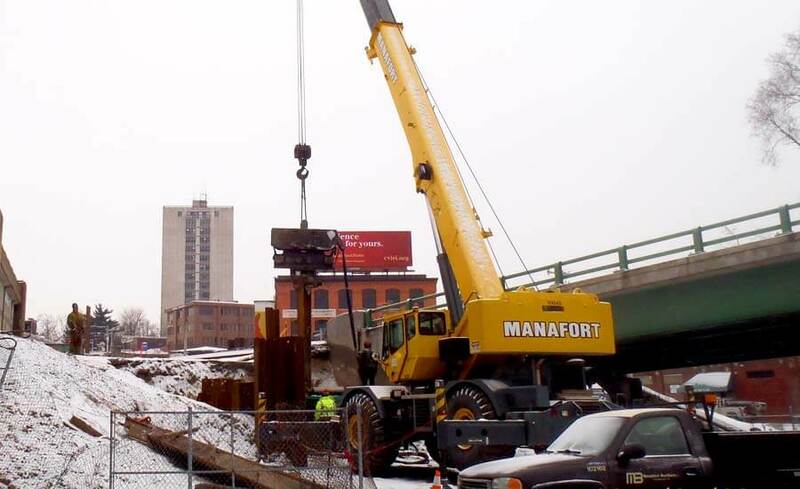 Manafort served as Prime Contractor for the project and self-performed a majority of the work including excavation, temporary support of excavation, concrete substructure, bridge superstructure, cast in place concrete retaining walls, precast concrete retaining walls, storm drainage, roadway reconstruction, and highway approach work.